Philip Sykas worked as a textile conservator (1983-1994) and as a museum curator (1994-1998) before embarking on a full-time career in research. His doctoral thesis, completed in 2000, examined nineteenth-century calico printers' pattern books from the perspectives of design, technology and business. His research has since broadened to encompass the full history of textile printing in England, but still focuses on the interconnectivity between pattern design, textile technology and merchanting practice. New knowledge has been generated by the detailed analysis of visual evidence from manufacturers' pattern books. By incorporating this with contemporary written evidence, a new understanding is emerging of historical design practice and its response to developments in technology, as well as to the changing needs of a complex international trade. Sykas, P. A., 2009. A Textile Dynasty: Arthur H. Lee & Sons, Birkenhead, Williamson Art Gallery & Museum, Birkenhead, 1 December 2008 - 29 March 2009. Sykas, P. A., 2005. The Secret Life of Textiles, Macclesfield Museum, Bolton Museum, 2004-2006. Sykas, P. A., Belford, P., 2013. 'The Beauty of Experiment (in two parts): Shadow Tissues at Turnbull & Stockdale by Philip A. Sykas, with a foreword by Paul W. Turnbull. The Rediscovery of Shadow Tissues by Patricia Belford, assisted by Beth Milligan', Isle of Man, Turnbull & Stockdale. Sykas, P. A., 2005. 'The Secret Life of Textiles: Six Pattern Book Archives in North West England', Bolton Museums, Art Gallery and Aquarium. Sykas, P. A., Lone de Hemmer Egeberg., 2002. 'Tråden i øjet- noter til engelsk sytråds historie', Tenen, Copenhagen. Sykas, P. A., 2015. 'Textiles 1800-1920'. In Baxter, Denise (eds.) A Cultural History of Dress and Fashion in the Age of Empire, 1, Bloomsbury Academic: London. Sykas, P. A., 2013. 'Investigative Methodologies: Understanding the fabric of fashion'. In Amy de la Haye et al. (eds.) Handbook of Fashion Studies, 235-267, Bloomsbury Academic (formerly Berg), London and New York. Sykas, P. A., 2010. 'Industrial Manchester's Confrontation with Copying'. In Qin Jian; Sub-editor:Tongyu Zhou (eds.) Power of Copying, 117-121, Xuzhou Museum of Art, Xuzhou, China. Sykas, P. A., 2007. 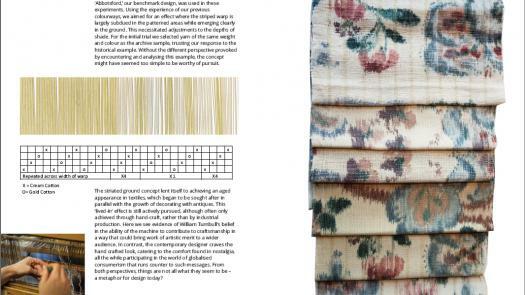 'Abundant images and scant text: reading textile pattern books'. In Maria Hayward and Elizabeth Kramer (eds.) Textiles and Text: Re-establishing the links between archival and object-based research, 23-28, pl. 9-13, London, Archetype Publications. Sykas, P. A., 2006. 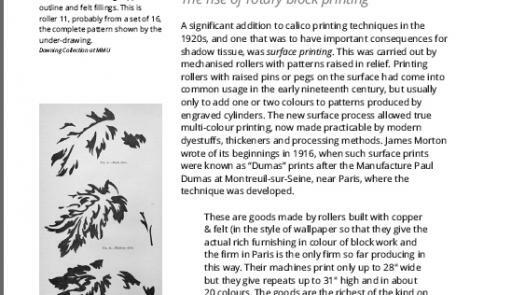 ''Hot press printing of worsted cloth: a precursor of roller printing''. In M.-S. Corcy, C. Douyère-Demeulenaere, and L. Hilaire-Pérez (eds.) Les archives de l'invention: écrits, objets et images de l'activité inventive, 101-112, CNRS, Université de Toulouse, Le Mirail. Sykas, P. A., 2003. ''Corduroy: panning for gold' and 'Life-saving fabrics''. In Elana Dickson & Amy de la Haye (eds.) Textile Tales, 4pp, Textile Tales, London. Sykas, P. A., 2009. 'Identifying Printed Textiles in Dress 1740-1890', http://www.dressandtextilespecialists.org.uk/Print%20Booklet.pdf. Sykas, P. A., 2009. 'The Wardle Pattern Books Revealed', The Whitworth Art Gallery project site, http:www.whitworth.manchester.ac.uk/collection/recentprojects/wardle/. Sykas, P. A., 2009. 'Exhibition review: 'The Manchester Indian: Thomas Wardle and India', The Whitworth Art Gallery', Textile History. Sykas, P. A., 2009. 'Fustians in English menswear: From cloth to emblem', Costume: The Journal of the Costume Society, No. 43, 1-18. Sykas, P. A., 2006. 'The secret life of the handkerchief', Embroidery Magazine, 57/ May-June, 18-21. Sykas, P. A., 2005. 'Book review of 'Disentangling Textiles' by Schoeser and Boydell', Text: for the study of textile art design & history, 33, 56-59. Sykas, P. A., 2005. 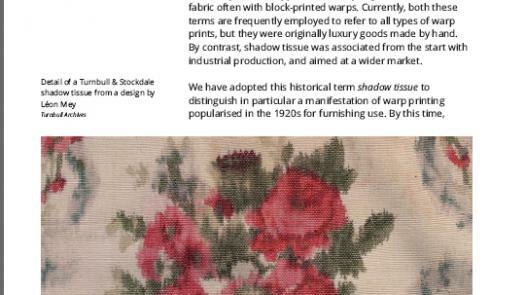 'Exhibition review: 'Material Pleasures' at Temple Newsam', Text: for the study of textile art design & history, 34, 63-65. Sykas, P. A., 2004. 'A colorful study: Book review of 'Colouring Textiles' by Nieto-Galan', Chemical Heritage, 22, No.3, 50-51. Sykas, P. A., 2004. 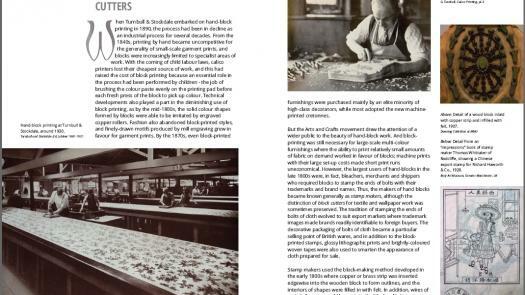 'Morris Martin, a paper stainer of Fulham active in the 1820s', Wallpaper History Society Review. Sykas, P. A., 2001. 'A Medieval Textile Forgery', Textile History, Volume 32, No.1, pp.119-121. Sykas, P. A., 2001. 'The North West Pattern Book Survey', Textile History, Volume 32, No.2, pp.156-174. Sykas, P. A., Lone de Hemmer Egeberg, 2001. 'Tråden i øjet- noter til engelsk sytråds historie', TENEN: Dansk Tekstilhistorisk Forening, Vol.12,, pp10-15. Sykas, P. A., 2015. 'Cotton for the calico printer', Textiles and the Origins of the Industrial Revolution, University of Hertfordshire and the Clothworkers' Centre, V&A Museum, 15-16 April 2015. Sykas, P. A., 2015. 'Promiscuous prints', Veronika Gervers Fellow Annual Lecture, Royal Ontario Museum: Toronto, 28 October 2014. Sykas, P. A., 2015. 'The Scottish diaspora of pattern books, design and business records: a personal view', Recreate Research Network, Paisley Museum: Paisley, 30 January 2015. Sykas, P. A., 2012. 'Damasking by Hot Rolls: the impressed worsteds of the eighteenth century', Innovation before the Modern: cloth and clothig in the early modern world, Nordiska Museet, Stockholm, 27-29 September 2012. Sykas, P. A., 2010. 'Silk Yarns for Knitting and their Use in Britain', Knitting History Forum, London College of Fashion, 6 November 2010. Sykas, P. A., 2009. ''Candle, flower, butterfly and nightingale all gathered': Late 19th century British export prints for the Persian market', Patterns of Perfection: 19th century textile and carpet design in Iran and Britain, Victoria & Albert Museum, London, 21-22 April 2009. Sykas, P. A., 2009. 'Reading the Status of Printed Cottons, 1790-1840', CIDRA Colloquium on Dress, Textiles and Fashion, University of Manchester, 3 December 2009. Sykas, P. A., 2009. 'Sewing threads in the analysis of alterations to 18th century dress', Doddershall Court Mantua Study Day, London College of Fashion, 2 October 2009. Sykas, P. A., 2009. 'Wardle's "raven blacks" on silk', Dyes in History and Archaeology 28, Poznan, Poland, 21-24 October 2009. Sykas, P. A., 2007. 'The Stuff of Invention: origins of stamped worsted cloth', In Search of Origins: wool and culture 1500-1900, Historic Deerfield, Deerfield, Massachusetts, 14-16 September 2007. Sykas, P. A., 2007. 'Woven Fustians: countryman's dress or workingman's cloth? ', Costume Society Symposium: Town and Country Style, Discovery Museum, Newcastle, 21-23 September 2007. Sykas, P. A., 2006. 'Abundant images and scant text: reading textile pattern books', Textiles and Text, AHRC Centre for Textile Conservation and Textile Studies, Winchester, 11-13 July 2006. Sykas, P. A., 2006. 'Identifying printed textiles in patchwork quilts: a summary of dating features', Dress and Textile Specialists: Back to Basics, Newcastle upon Tyne and Beamish, County Durham, 2-3 November 2006, in See: Dress and Textile Specialists Journal, Spring 2007. Sykas, P. A., 2006. 'The tradition of the English silk printer seen through the archives of Langley Printworks', A Celebration of Silk, Macclesfield Museums Heritage Centre, Macclesfield, 8 July 2006. Sykas, P. A., 2005. 'Coded messages and patchy histories', Bolton Museum lunchtime talks series, Bolton Museum, Bolton, 9 November 2005. Sykas, P. A., 2003. 'Hot-press printing of worsted cloth- a precursor of roller printing', Les Archives de l'Invention, Conservatoire National des Arts et Métiers, Paris, 2003. Sykas, P. A., 2002. '"Proper to be submitted to the consideration of practical men": Early bleaching history in the eyes of nineteenth century industrialists. ', Medieval White (organised by MEDATS- the Medieval Dress and Textile Society), Courtauld Institute, London, 12-Oct-02. Sykas, P. A., 2015. 'Susan W. Greene (2014) Wearable Prints, 1760-1860: History, Materials, and Mechanics', Book review. Sykas, P. A., 2012. 'Dalglish Falconer pattern books at the Geffrye Museum', Commissioned research for the Geffrye Museum, London. Sykas, P. A., 2012. 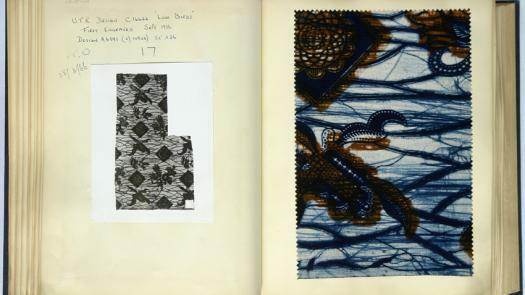 'Identifying Printed Textiles in Dress', V&A/ Dress and Textile Specialists Workshop. Sykas, P. A., 2011. 'Portland Buildings', Commissioned research for Bruntwood. Sykas, P. A., 2010. 'Identification of printed textiles in patchwork quilts', Brtish Quilt Study Group Workshop. Sykas, P. A., 2010. 'Plantation Mill, near Accrington, in the nineteenth century', Commissioned research for Jacobs UK. Sykas, P. A., 2009. 'Quilt Detectives: Identifying Prints in Patchwork Quilts', Quilt Association Workshop. Sykas, P. A., 2007. 'Workshop: printed textiles'. Sykas, P. A., 2006. 'Colouring the evidence: the trial books of Thomas Wardle for William Morris, 1875-1884', A poster session describing current research on the Wardle pattern books- the research problem, methodology and preliminary findings..
Sykas, P. A., 2006. 'Hidden Histories: Wardle pattern books project', A group of eleven pattern books from the firms of Thomas Wardle & Co (1875-1908), and Bernard Wardle & Co (1908-1930) form the core of this study. The aim of the project is to make this material widely available to all audiences..
Sykas, P. A., 2005. 'Expert user consultation on 'Pockets of History' Project', One day on-site consultation providing a critical review of the project. 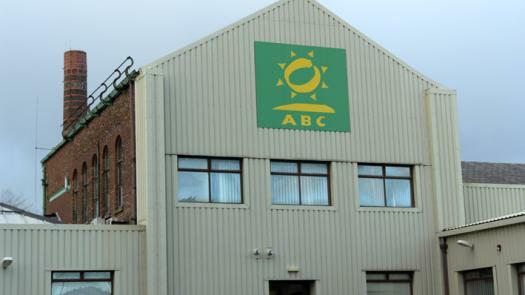 A five-page unpublished report was also submitted as part of this consultation. Sykas, P. A., 2003. 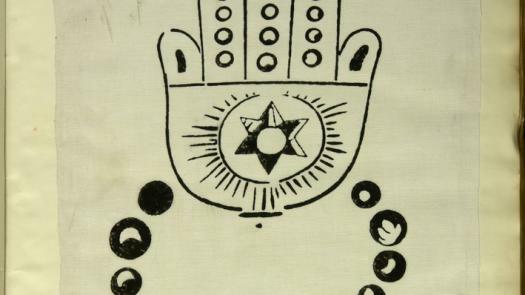 'North West Pattern Book Project', Cataloguing project encompassing six collections of textile pattern books: Bolton Museums, Liverpool John Moores University, Macclesfield Museums, Manchester Archives, Quarry Bank Mill, and Wigan Heritage Service. Supported by the Heritage Lottery Fund..
Sykas, P. A. & Hargreaves, B., 2001. 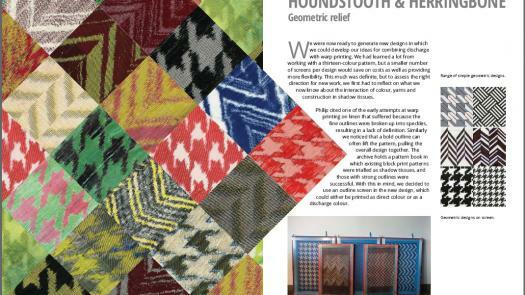 'Pattern Book Research in Manchester', Article in a book of conference proceedings. Based on a paper delivered at the conference "Historiar desde la periferia: historia e historias del diseño", Barcelona, 1999..
Sykas, P. A., 2001. 'The G.P. & J. Baker Archives: Interim Report', Consultancy Report: This report was commissioned by G.P. & J. Baker in order to better understand the size, nature, and significance of their archives..